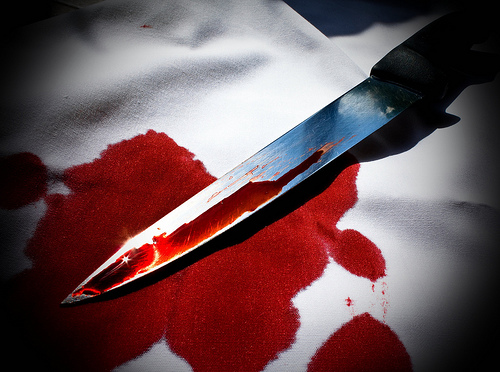 A Bulawayo woman stabbed her husband to death early Thursday morning following a row over counter allegations of cheating. Bulawayo police spokesperson, Inspector Mandlenkosi Moyo, confirmed they were holding Elizabeth Mbulayi of Nketa 8 on murder charges. “I can confirm that we are holding a woman by the name Elizabeth Mbulayi, on allegations of murder. She is assisting police with investigations,” said Inspector Moyo. Relatives said Simbarashe Denhere, 28, was stabbed by Mbulayi after he revealed that he had a love child. One of Denhere’s brothers said the couple had been having problems since they got married in 2008 after failing to conceive. “They had been married since 2008 and his wife could not have a baby and this created friction between them. Simba ended up having a relationship with another woman who recently bore him a child,” Mandela Denhere told the Chronicle newspaper. The fatal row is said to have started after the couple returned home for the night, having delivered some groceries to Simbarashe’s mother in Nkulumane. “I do not know what transpired later. However, I think my brother’s wife was having an affair with someone who is also a tenant at the house they are renting,” said Mandela. Simbarashe’s family claimed that another man, who was also a tenant at the couple’s rented home, was in the locked room when Mbulayi stabbed her husband. “What surprises me is what (this man) was doing in my brother’s room in the early hours of the morning,” said Mandela. Another tenant at the residency said she woke up to loud screaming from the couple’s room around three in the morning. When neighbours managed to force the door open, the other man reportedly walked out carrying a profusely bleeding Simbarashe on his shoulder and tried to rush him to a local clinic. “Unfortunately, my brother had lost too much blood already; he did not make it,” said one of his brothers.